Service Dogs, Inc. Service Dogs, Inc.
To rescue dogs from shelters and train them to assist Texans living with disabilities. Formerly Texas Hearing and Service Dogs, Inc. on our 25th anniversary we changed our name to Service Dogs, Inc. Founded in 1988 by Sheri Soltes, Service Dogs, Inc. is striving to minimize the ever growing issue of overcrowded shelters and also the need of service dogs in Texas. SDI is dedicated to rescuing dogs from shelters and training them to be hearing and service dogs for Texans living with these disabilities. Thanks to generous donors we are able to train these dogs at no charge to the person who needs them. SDI is able to provide lifetime support for all dogs that we bring into our program and are committed to finding them a loving working home so that the dog will never see a shelter again. 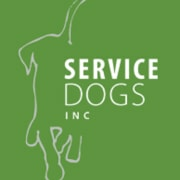 Service Dogs, Inc. accepts donations. Donate Now. Would you recommend Service Dogs, Inc.?